You’re probably already thinking I’m crazy. You’ve read the title and you’re wondering why oh why would she do that? Well there’s good reason. Sweet potatoes. That got that name for a reason. They are sweet, they are delicious and they pair awfully well with spices such as cinnamon which means they are fabulous in things such as cakes. These donuts came about because, I was going to make cakes, but got a donut pan last week and decided to experiment with some yummy donuts. 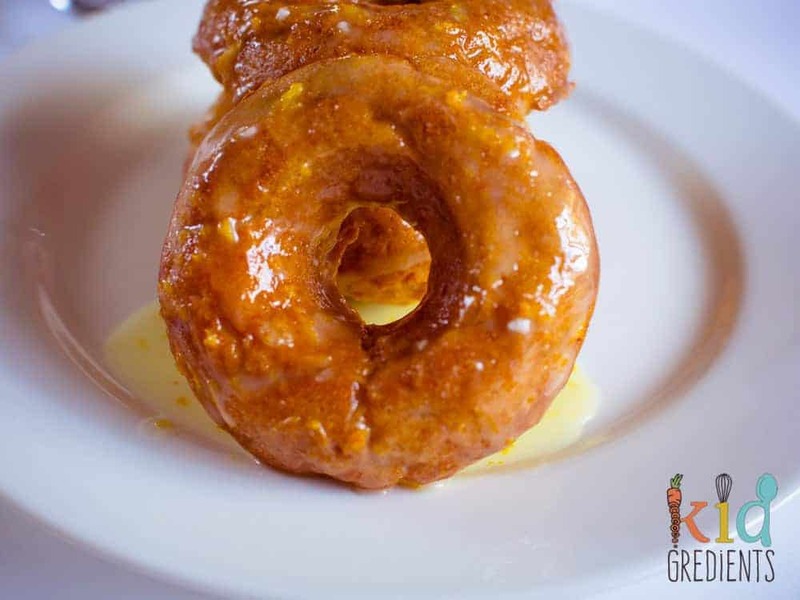 So please trust me on this, sweet potato baked donuts with orange icing are a thing. They are delish! Donuts are more fun than muffins, right? They conjure up fun, bright packaging and yumminess and these ones are definitely all that. I’ve used warming wintry spices and a dash of maple syrup to make these so yummy that they won’t last long out of the oven! 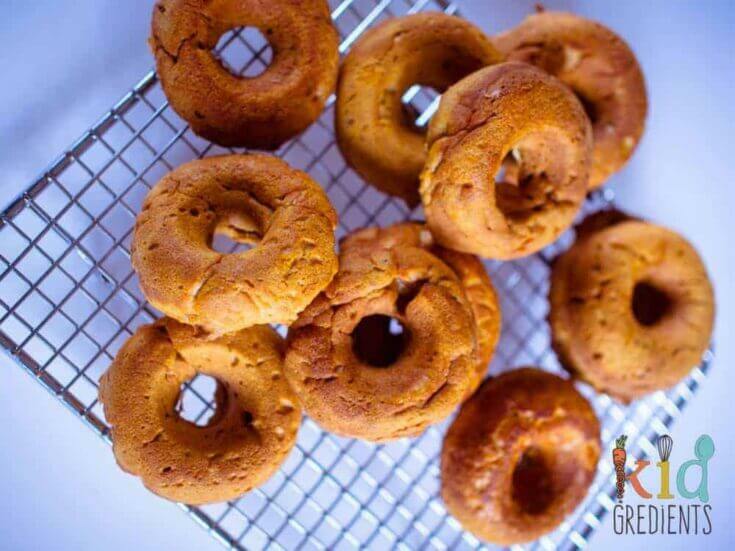 About that…these aren’t fried, they are baked, so already a healthier alternative to normal donuts. 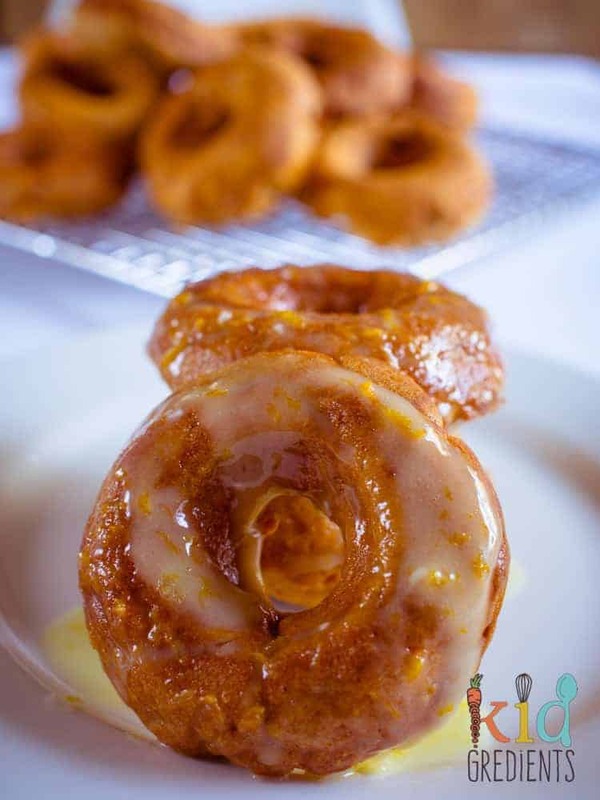 But if you want to make these donuts super naughty, add an orange icing! They are just as yummy without though, so you can choose to be naughty or nice when it comes to these. The orange glaze does just give them a little bit of an extra wow factor. Special treat alert! 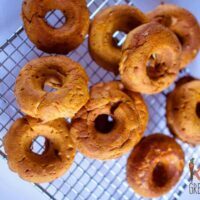 Yummy sweet potato donuts iced with an orange icing glaze! Delicious recipe for a yummy special treat. Kid friendly and veggie smuggling. Mix all the ingredients for the donuts together. Spray your donut tray with coconut oil or grease it with coconut oil. Put 3 tsps of the mix into each donut ring. Bake at 180 for 15 minutes or until a skewer comes out clean.